In an era when footage of violence and human suffering is available 24/7 at our fingertips, it can be near-impossible to escape the woes of the world. But ground-breaking UNE research is showing that prolonged exposure to distressing news coverage might actually make us sick. PhD student Tanya Hopwood has conducted five major studies and published three reports en route to identifying a new psychological condition: Anticipatory Traumatic Reaction (ATR). “I’ve found that the constant barrage of media reports and social discussions of disasters and large-scale threats can, in some people, create an irrational and debilitating fear of the future,” Tanya says. 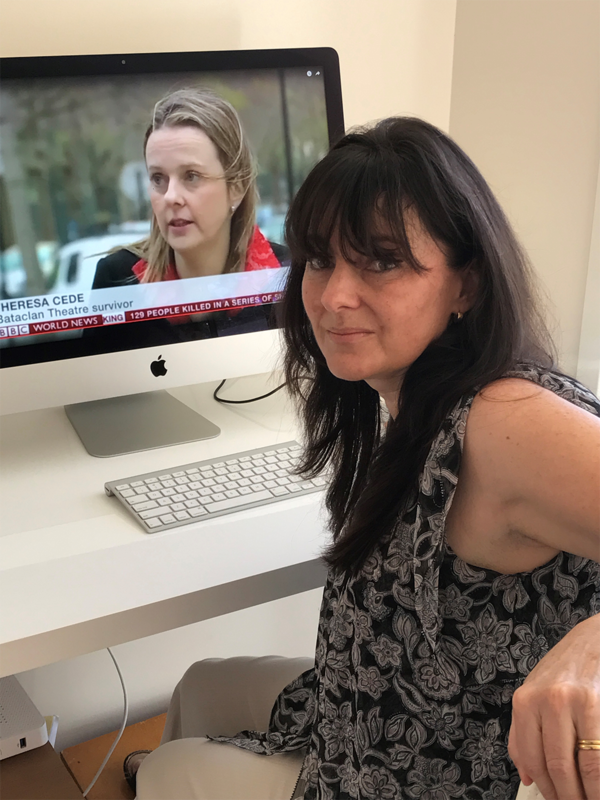 While many studies had already shown links between media exposure and adverse psychological effects, Tanya became convinced there was something more at play while working as a volunteer for Lifeline in 2014. “It was around the time that Malaysian Airlines Flight 370 went down and I was taking lots of calls on the crisis hotline from people concerned about the disaster and possible terrorist attacks,” she said. “There was such an elevated perception of risk, and many people feared the prospect of another 9/11. Fast forward three years, and nearing the completion of her Research Psychology studies, Tanya has found evidence that ATR is a reasonably common condition that affects people in varying degrees. She believes it may be most prevalent in women, younger adults and people living with mental illness. Risk factors may include higher levels of negative thinking, intolerance of uncertainty, and specific types of empathy linked with personal distress and vivid imaginings. “It’s a worry that the world is unsafe; a sense that anything could happen at any time,” Tanya said. “Repetitive feelings of vulnerability, tension or even anger may disrupt everyday life and some people find they literally can’t turn off from the news. And it’s not just individuals who suffer. “ATR might be costly to society in terms of reduced community morale, a deficit of hope, and exacerbated levels of mental illness,” Tanya said. But Tanya hopes that her identification of ATR may be the first step in helping those who experience it. Working with more than 700 study participants, she has developed a 20-item scale to measure ATR, which she hopes will guide practitioners working in trauma and social psychology. “We need more longitudinal research to identify possible ATR treatments, but early indications are that mindfulness and cognitive intervention may be effective,” Tanya said. Tanya will present her research at the Australian Conference of Personality and Individual Differences in December.